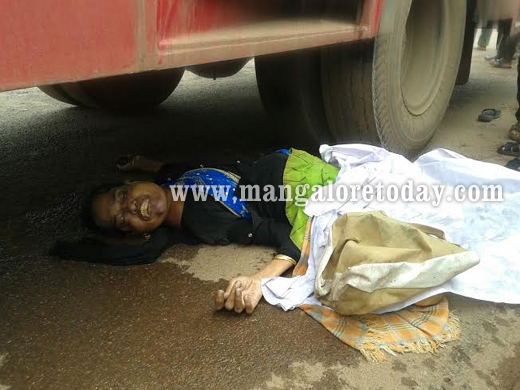 Mangalore, Sep 20, 2014: A woman identified as Amina (50) died on spot after falling down from a moving bus at Talapady check post on Saturday, Sept 20. According to the eye witnesses, the lady fell under the tire while boarding Padma Travels which plies from Talapady to State bank. The bus driver stopped the bus on being alerted by the passengers. By then the victim had succumbed. Ullal police arrived at the spot and registered a case. More details awaited.